Home, Door and Window Products has providing outstanding customer service and sturdy storm doors for more than 30 years to our customers in the Greater Detroit Metropolitan area. 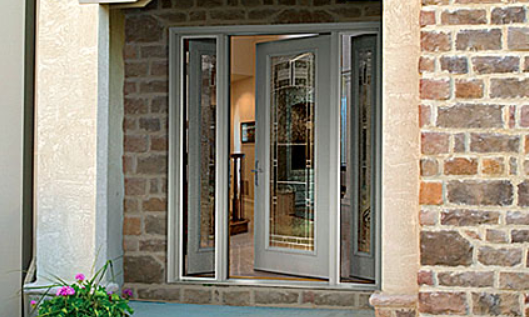 We offer a wide selection of top manufactured brands such as Fox storm doors and Trapp storm doors. Our goal is to help you find the perfect storm door for your residential home or commercial business that suits your style. Home and Door’s security storm doors will increase the security and safety of your New Baltimore residence. Our storm doors are incredibly durable, and we have a variety of styles and colors available. New Baltimore, Michigan is a city in an historic resort community found on the freshwater coast of the state. New Baltimore is located in Macomb County with over 12,000 residents and is located northeast of Detroit. If you want to save money, pick our Fox storm doors or Trapp storm doors because they are cost effective and energy efficient. New Baltimore customers know that Home and Door is a reliable and dependable company that has an outstanding reputation with over 150,000 satisfied customers. Home and Door has the best storm doors on the market! If you are tired of purchasing a new storm door for your home every other year, come to the place that has the best quality security storm doors. Home and Door has been in the business for over 30 years because we are knowledgeable, reliable and affordable. If you want to enhance the beauty of your residence and add stunning curb appeal, come check out our large variety of Trapp storm doors and Fox storm doors, we guarantee you’ll find a storm door that you will love. For more information about our custom storm doors contact Home, Door and Window Products at (248) 399-9900.